This tutorial shows you how to easily upload any iTunes DRM-locked movie to YouTube with the help of DRmare iTunes M4V Converter. Read on this complete guide to learn how to remove DRM from iTunes M4V videos and share the DRM-free movies to Facebook with ease. Vimeo is a popular video site to share interesting videos to others online. 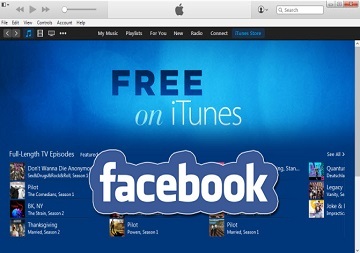 This article is focusing on sharing iTunes DRM protected movies to Vimeo with a few clicks only. In this post, we discuss about Microsoft OneDrive and how to remove DRM from iTunes movies so as to sync them to OneDrive and share with your friends and family. Want to backup iTunes DRM M4V videos to Dropbox so that you can watch iTunes movies on multiple popular devices? Please check out this article to find out the effective solution on converting iTunes movies and TV shows on Dropbox. This article includes the best solution on how to stream iTunes movies and TV shows to Veoh video streaming website while introducing some tips of using Veoh. 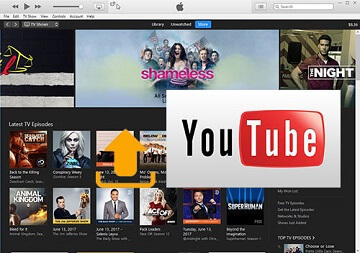 The post shows you how to share iTunes video collections with friends and family via Dailymotion by converting iTunes DRM M4V videos to Dailymotion compatible format. In this post, you can learn more about Flickr and find out how to upload and share iTunes M4V videos to Flickr by using DRmare M4V Converter to remove DRM. Metacafe is a great video sharing site for short videos. For iTunes users, you may need to upload some short iTunes music videos to Metacafe. If so, here is the complete guide on how to upload iTunes DRM MV to Metacafe easily.